October is National Bullying Prevention Month, which was founded by PACER’S National Bullying Prevention Center, and is meant to unite communities around the nation to educate and raise awareness of bullying prevention. Youth are suffering from the actions of a bully, and often do not report when they are being bullied. Youth that identifies as LGBTQ suffer even more so from bullying. Here are the facts on bullying in the United States. The National Runaway Safeline receives calls and messages from youth dealing with the pain, sadness, loneliness and fear that comes from bullying. Our crisis prevention services help youth to find solutions to their immediate problems and make a plan of action for their next decision. In order to provide more help for those in need, we have compiled resources for youth that can provide immediate assistance. We also have information for youth wh0 wish to help prevent bullying. Here are resources that can help immediately if you think you are being bullied. Stomp Out Bullying Help Line This free and confidential online chat serves youth from ages 13 to 24 with bullying and cyberbullying issues. The chat is normally available 24-7. However, due to a schedule change, there are limited hours on each day of the week. You can also receive help by reaching the National Runaway Safeline at 1-800-RUNAWAY, or by visiting our website at 1800RUNAWAY.org. NetSmartz This resource created by the National Center for Missing and Exploited Children educates youth on how to avoid cyberbullying. The site helps define different types of cyberbullying, provides tips on how youth can protect themselves, as well as a link to a cyberbullying tip line to report cyberbullying. Youth have resources they can turn to to help them deal with bullying. We have compiled several options below. What Should I Do If I’m Bullied? – Stop Bullying Now This resource kit from the Health Resources & Services Administration gives those who have been dealing with bullies tips and suggestions to protect themselves. This downloadable PDF can be placed at home on the fridge, in lockers at school, or stored on your mobile device for quick reference. Bullying: What To Do If I’m Bullied – Mental Health America This fact sheet from the nation’s leading community-based nonprofit dedicated to addressing the needs of those living with mental illness is a strong resource for bullying victims. This resource focuses on the mental and emotional aspects of being bullied. It encourages youth to not let negative language affect them, to surround yourself with positive supporters, and to speak up when in pain. Student Action Plan Against Bullying – National Bullying Prevention Center This detailed plan, developed by PACER, is a step-by-step process that gives youth a chance to change what is happening around them and help others who are suffering. The plan asks the reader to examine their situation, think about what needs to change, and then consider who can help, and what they can do. 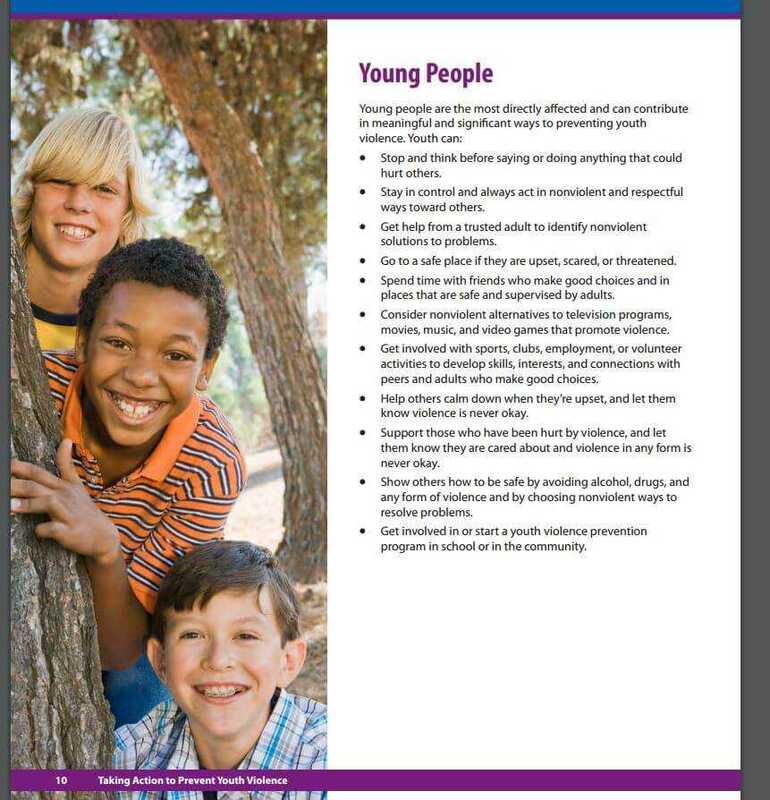 It also gives examples of scenarios that help illustrate the actions youth can take. It also has a plan template that youth can use to create their own plan. Bullying and Peer Pressure – ReachOut.com This resource from ReachOut USA, a nonprofit organization that meets youth where they are to deliver peer support in a safe and supportive online space, gives suffering youth several options for help. Issues such as peer pressure, bystanders to bullying, and resolving arguments are addressed. Resources for coping strategies, what to do if you are being bullied, and cyberbullying give youth tools to cope. The website also contains contact information for several confidential hotlines dedicated to youth in crisis. Are you interested in being a youth advocate? If you are a youth that has seen others being bullied and wish you could help, you can. One of the simplest ways to do is to speak up. Often, youth who are being bullied are not able to stand up for themselves. Allies of bullied youth have the ability to defend victims by acknowledging that bullying is happening. There are also several tools and resources that bullying victim advocates can use to help those in need. Stomp Out Bullying Student Ambassador Stomp Out Bullying has a special program for youth peer leaders in their schools and neighborhoods and are interested in bullying and cyberbullying prevention. Ambassadors speak at their schools, to their community, raising awareness. What To Do If Someone You Know is Being Bullied? – ReachOut USA This is a good resource for advocates on how to recognize when bullying is happening, and how to support those being bullied. ReachOut encourages communication, between victim and advocate, and between advocate and bully. Focused on healing the mental health of victims, these tips allow advocates to learn about crisis intervention. Youth advocates are encouraged to walk with bullying victims to class to discourage further abuse. Those being bullied need a friend, and advocates can help them feel less alone by playing with them at recess, sitting with them at lunch, or sitting with them on the bus ride home. Prevent Bullying – Centers for Disease Control Normally, we think about the CDC as a research lab focused on viruses or chemical weapons. However, this government agency is charged with studying the effects of any circumstances that could be harmful to human life, which includes youth bullying. The CDC has a list of activities that youth can perform to help prevent youth violence and bullying, available for download. Youth have the ability to stand up for themselves, to seek comfort from others, to find help from adults and support others who are suffering. Using the resources listed above can help those in need. If you have other questions or concerns, call NRS at 1-800-RUNAWAY, use our live chat function, send an email to 1800RUNAWAY.org, or text NRS at 66008.